You are getting a very trendy take on a high school teacher resume here. 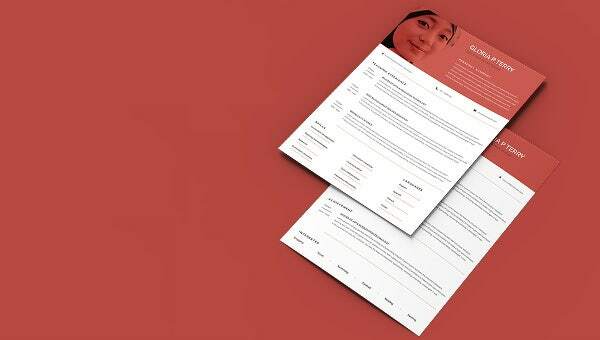 The Resume Template reaches up to two pages and is especially meant for a highly accomplished and seasoned high school teacher who needs ample space to detail about her series of work experiences, the awards won as well as all the major educational degrees attained. You will also get space to include your interests. 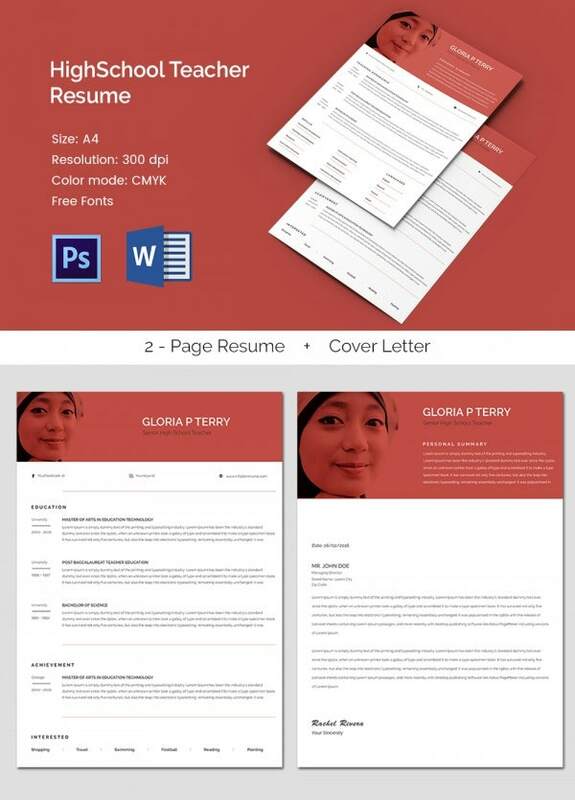 The resume begins with an edgy banner featuring your picture and name. The same banner structure goes for the cover letter template, along with the addition of a personal summary on your behalf.